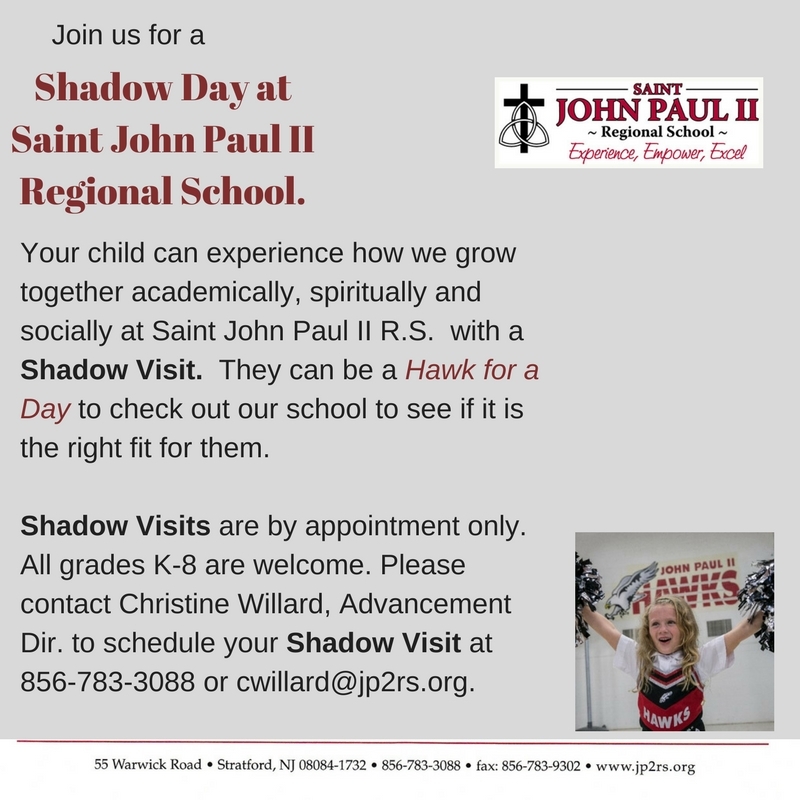 In partnership with the Camden County Educational Services Commission, St. John Paul II provides a variety of services to students with special needs. Services may include compensatory education, supplemental instruction, speech, ESL, resource room, part-time title 1 teacher, occupational therapy, physical therapy and instructional assistants. Camden County Educational Services Commission Mission Statement: to assist member districts fulfill their responsibility to educate the youth of Camden County by providing superior programs and innovative services at exceptional value and the initiative and leadership necessary to meet the diverse needs of the educational communities of Camden County. In addition, St. John Paul II funds it’s own programs including a Special Education Classroom for Math and Language Arts known as our Learning Center. Students are mainstreamed back into their regular classroom for all other subjects. Saint John Paul II Regional School is fortunate to also have a School Counselor available to our students. The Counselor will meet with students during the school year for various reasons to help a child achieve their fullest potential academically, behaviorally and socially. The Counselor is there to provide support or manage challenging behaviors. The Counselor is available Tuesdays from 9 AM- 1PM and on Thursdays from 12PM-3PM. Due to limited time, the Counselor does not do traditional counseling instead the focus is on providing support, teaching strategies and helping students monitor and change their own behavior. Our Counselor will send a form home to provide parent permission to speak with a child. Learn more about these services by calling 856-783-3088.